Valentine’s Day, 2014. People are coming home from work, planning their romantic evening. Some are going to make a weekend of it. What could possibly go wrong? History is made every day, but interpretation can only come with distance. So today we present the raw stuff of History – some primary sources, free of the intermediary hand. 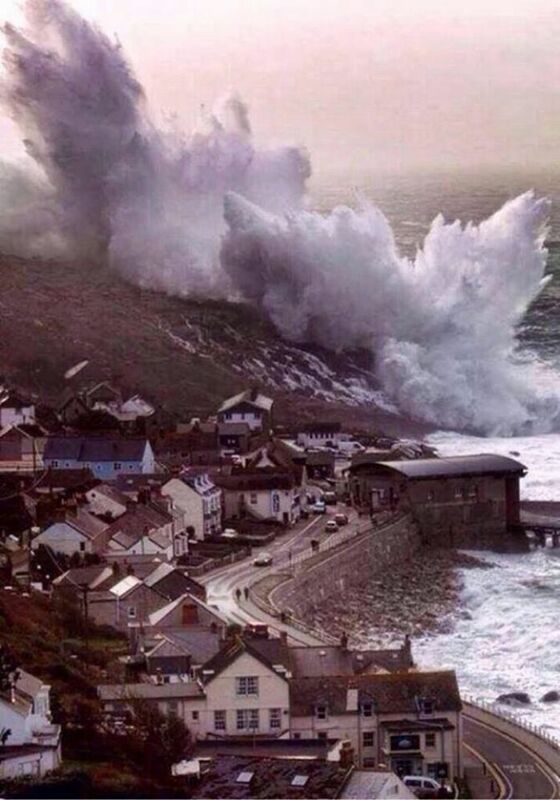 C M Chloe (posted 15 February 2014); A spokesman from Western Power Distribution said around 3,000 homes are still without power, the majority of which are in Penwith, The Lizard and along the South East coast. First Great Western has suspended all trains between Penzance and Plymouth until at least 10am this morning when the lines are being checked. In Penzance the Western Promenade Road remains closed this morning in both directions due to flooding. 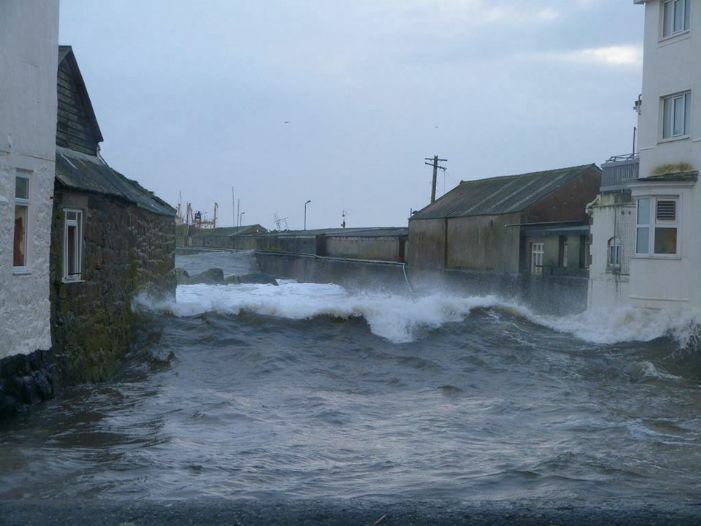 About 20 properties have been flooded in Penzance, with flooding also reported in Newlyn. 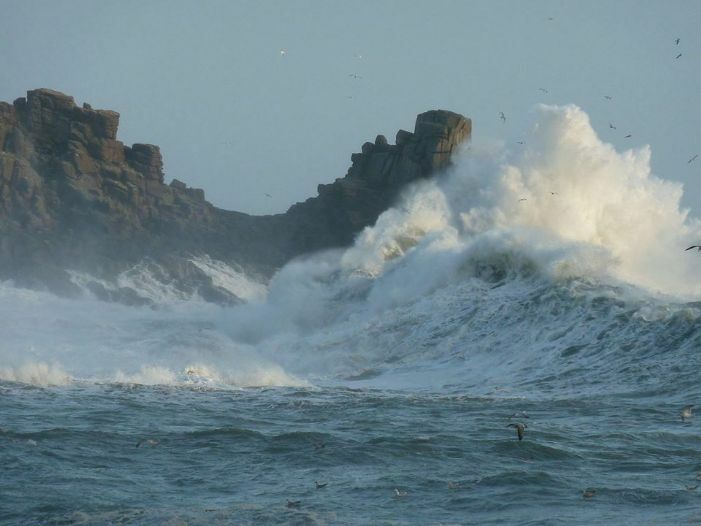 The Environment Agency said flood warnings are still in place for the whole Cornish coast this morning. Robin Turner on posted on Facebook at the time: “We watched it all, from start to finish from the best vantage point to see the PZ pier damaged. Then visited our cafe at Jubilee pool at midnight to get an idea of how much it would cost to put right!” Ann Mitchell added: “The fish lorry (Quayside Distribution) had just left the market when it was hit by the huge wave crashing over Newlyn Bridge. The driver had a lucky escape as he had just closed his window but it was still a bit of a shock for him." This is History; these ‘sources’, just as a parish record or a charter is. Why not write your own history of Valentine’s Day 2014; or of today; or of tomorrow?